Wondering how to control your cast and crew? Well, it is not always easy, as film making is always a long, difficult and tedious process that requires patience, commitment and obedience. 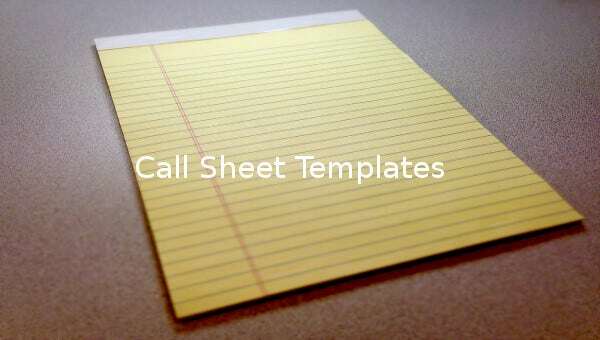 Start narrowing the complications in this type of project by using a call sheet template. 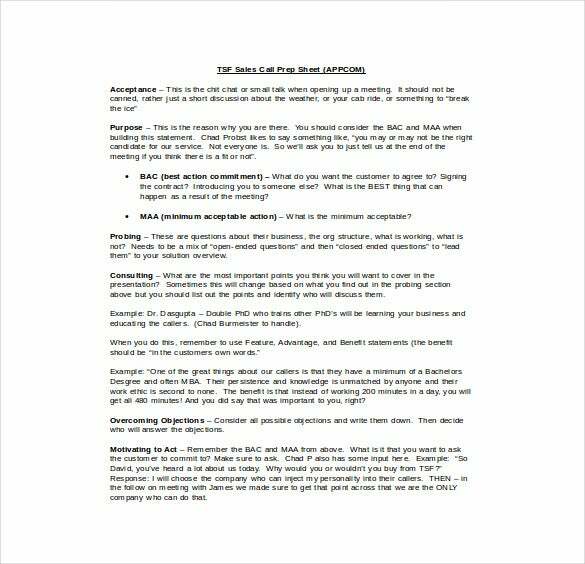 With such a busy schedule as yours, I doubt you will have the time to create the call sheet outline on your own. You may like Contact Sheet Templates. freeformsonline.com Controlling your employees and staff from making unwanted or personal calls from the office phone can be quite difficult. 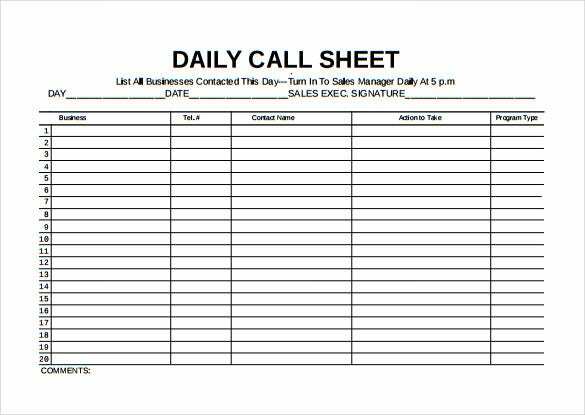 The Daily Call Sheet Tracking Template is one of the best solutions to keep a track of all the calls that has been made using the business telephone line. Additionally, if you’re running a calling business, then you can use these templates to track and record multiple sales reps, monthly activity quotas, and how far your employees are from the defined targets with ease. 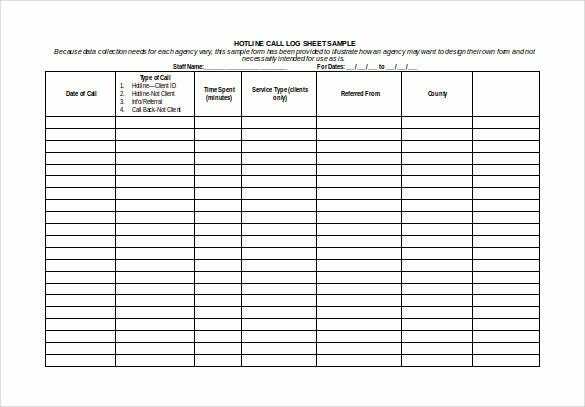 tele-salesforce.com As the name suggests, the TSF Sales Prep Call Sheet Template helps you earn huge profits and tracks all the sales call made by your employees on behalf of your company. 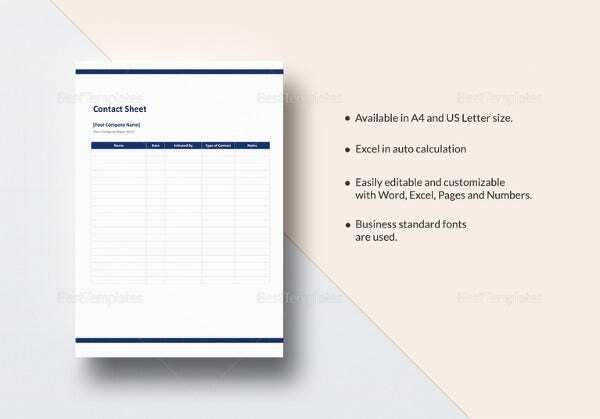 You can easily customize this template and share it across your departments to keep a record of the details and sales call made to various customers or clients in a weekly, monthly, or quarter. 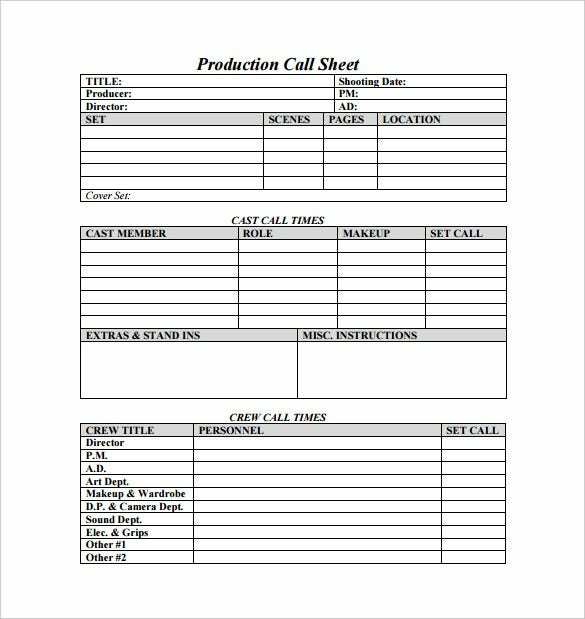 cdn.shopify.com As the name indicates, this call sheet template in Word/PDF format comes in handy for people who are in charge of a production unit for a film shoot or video shoot. It can also come in handy for fashion shows. 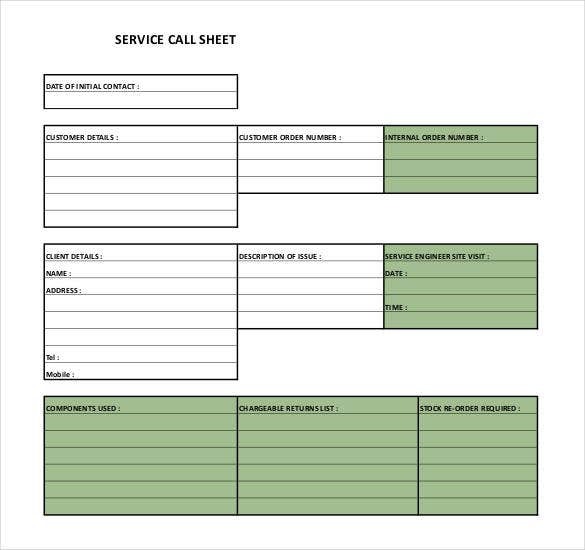 Using this sheet, they can organize all the tasks in a proper manner and thus ensure that the work progresses at a uniform pace. 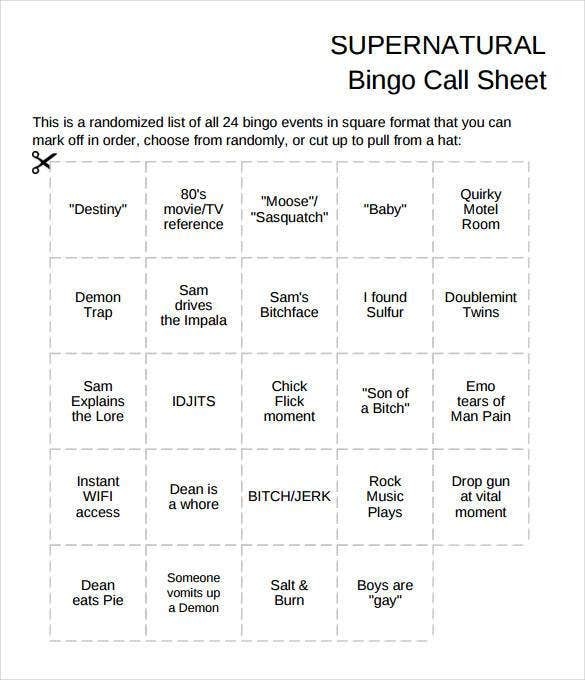 The user can download and customize this sheet as per his needs. 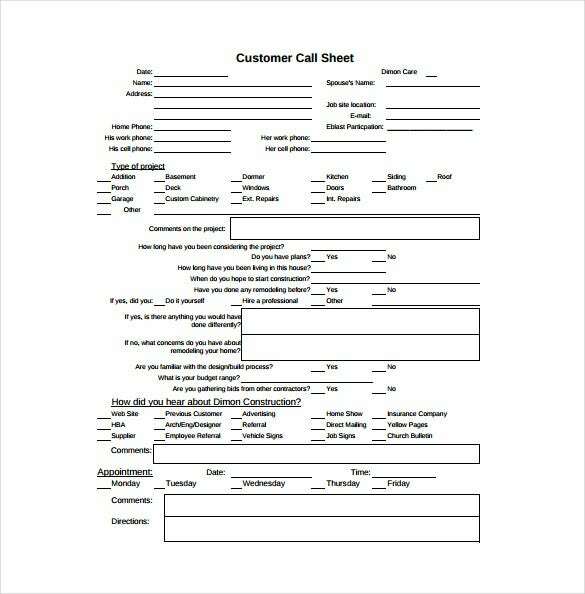 dimonconstruction.com The Customer Call Sheet Template is quite helpful in analyzing, maintaining a record, and keeping a track of customers and clients who have called the business helpline number in the past days, weeks, months, and quarter. 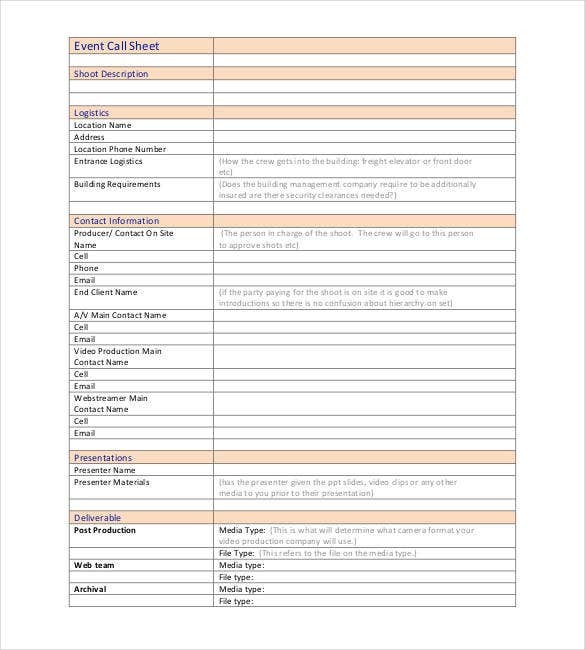 The template can assist you in making and maintaining sales call logs with ease and assist in presenting a detailed call report during business meets. 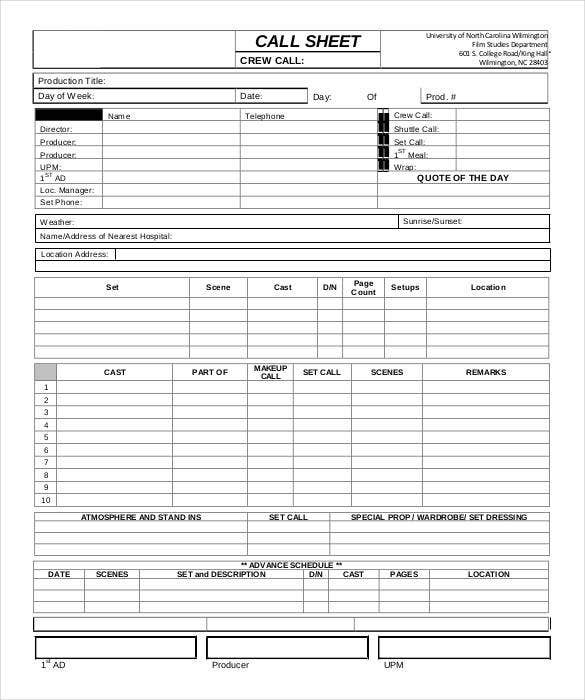 There is no need to worry though, as there are quite an unlimited number of free Football play call sheet templates, which you can download, customize, and use to communicate a message to your cast and crew.The assistant film directors should use the Sheet Templates communicate to the film making team because it is an easy and cost-effective mean to pass a message to the people concerned. 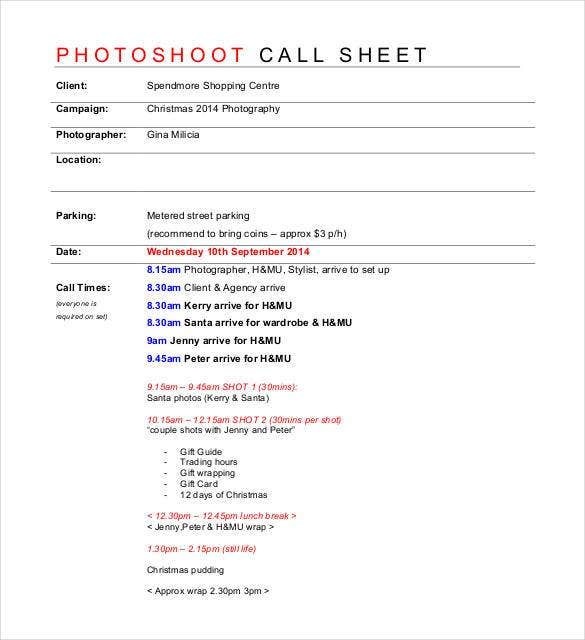 The main information the sheet should contain includes where the cast and crew need to report to as well as the exact meeting time for filming. 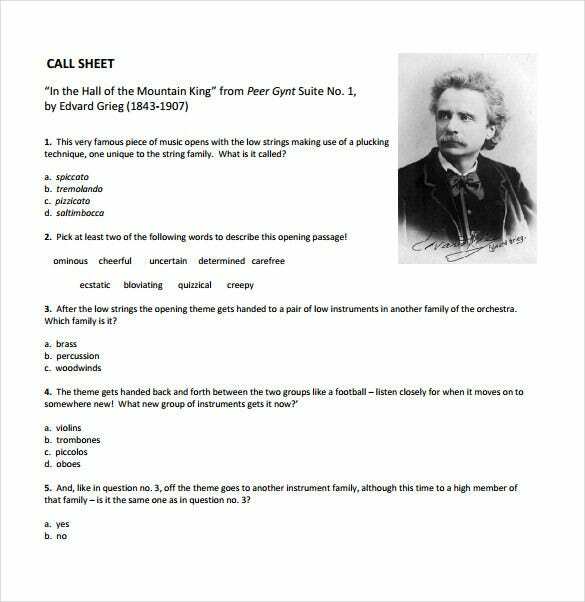 How to Make a Football Play Call Sheet? It is quite easy to design a football play call sheet using Weekly Sheet Templates. 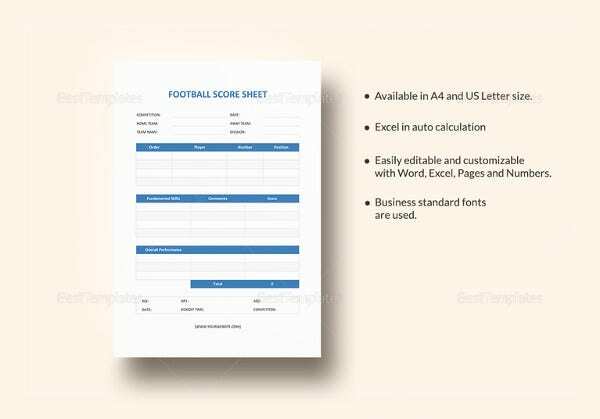 The template can be customized by the user to create a sheet that would help him keep his team in control while also ensuring fair chances to all players. 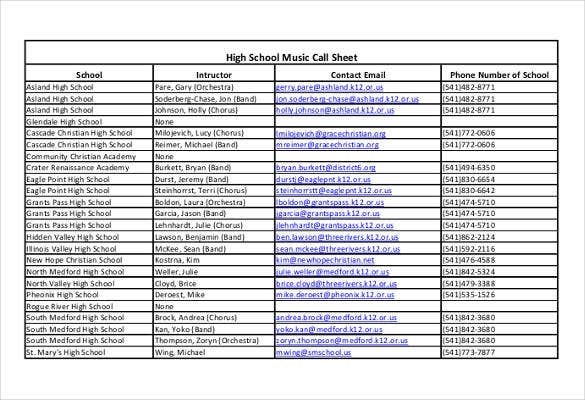 However, a person can also design a call sheet in MS Word. Here is how this can be done. 2. Click on Insert option and then select Tables. 3. You will be presented with a dialog box. Add in the number of rows and columns that you wish to include in the sheet and click OK.
4. A table will be inserted into the document. 5. Customize this by adding relevant names to the columns and rows. You can also add other segments like date, zone, adjustments etc around the table. Why do they call it a Rap Sheet? 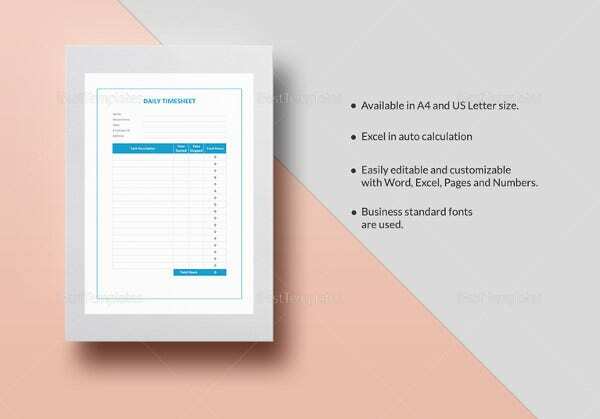 A rap sheet is quite similar to a general call sheet when it comes to its layout and format which is why Meeting Sheet Templates be used to design these. 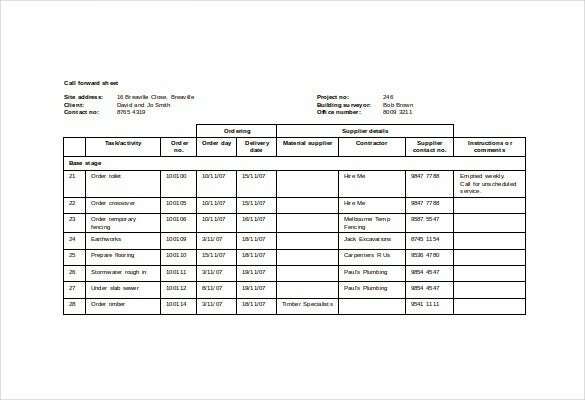 However, this is a government record which is used by the police department to list the details of an offender. It comprises of all the information of the criminal along with his crimes, arrests, convictions and what not. It is known as a rap sheet because according to officials, these are extremely confidential and are not shared by anyone. 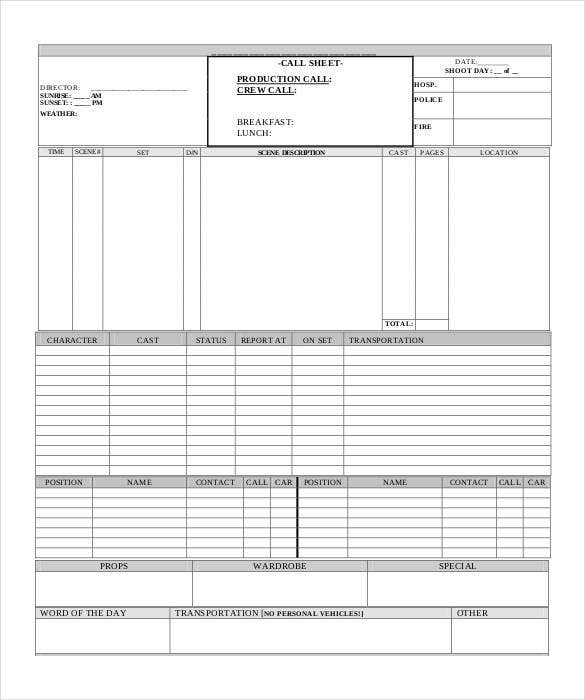 Also, one look at these sheets is all that is needed for an official to get an idea of the offender’s attitude and personality. 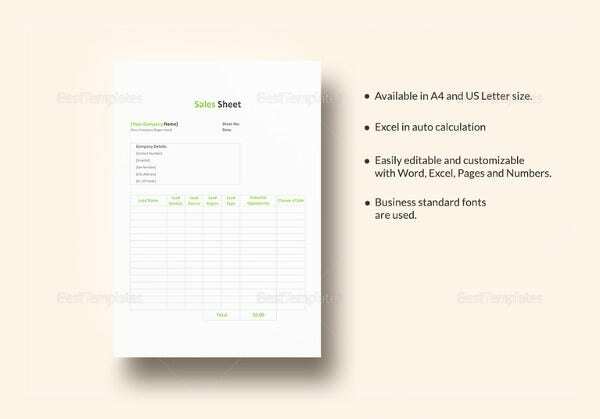 Irrespective of whether a call sheet is designed using Sheet Templates in Excel, MS Word or PDF, it is important that the contents in the sheet be listed and defined in a perfect manner. Here are a few tips to help you out with this. 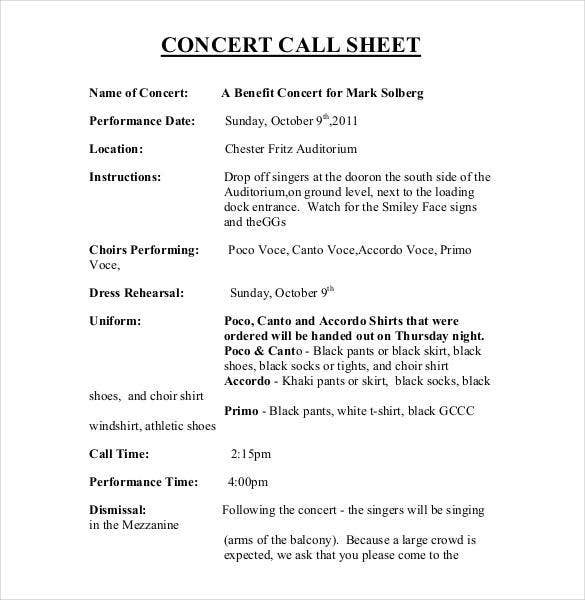 The call sheet should be precise and short and should comprise of the most vital information. 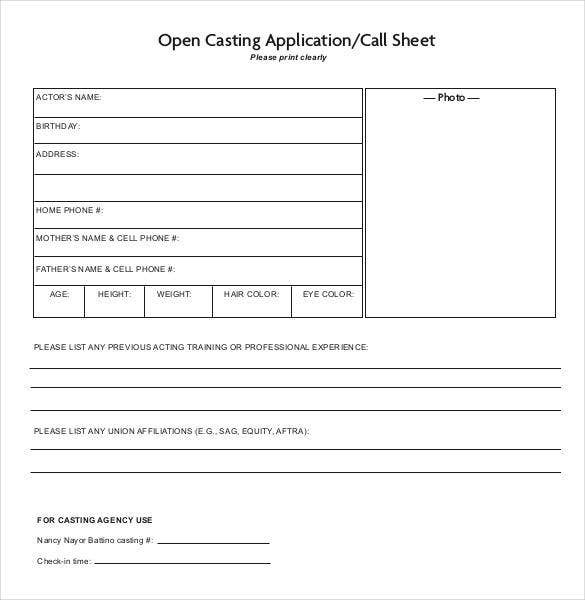 All the information that is included in the call sheet should be accurate such that any person who refers to it is sure of when and what is expected of him. 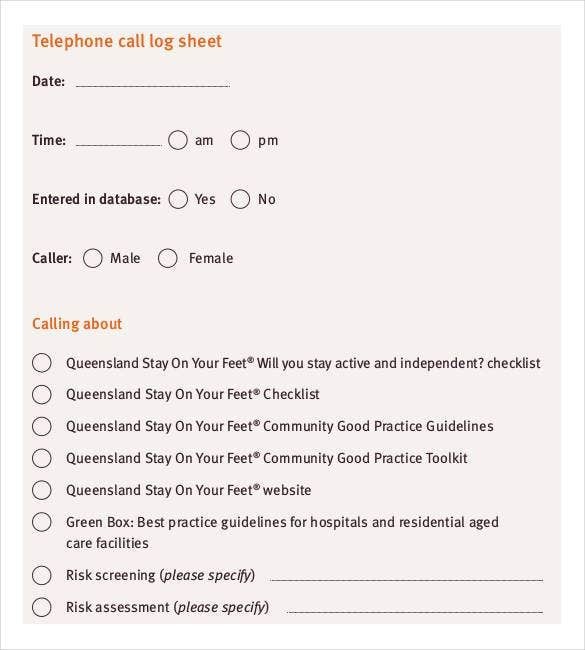 Make sure that the structure of the call sheet is clear and easy to decipher. 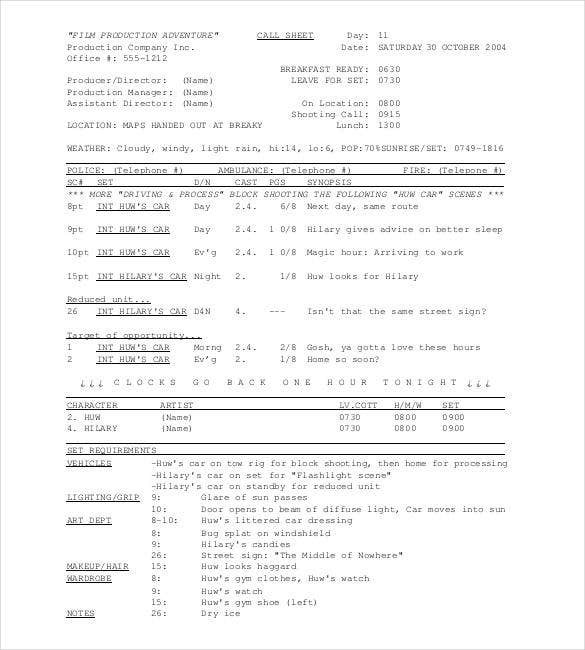 Call sheet is confidential. So, keep it that way and share it with only those people who really matter. 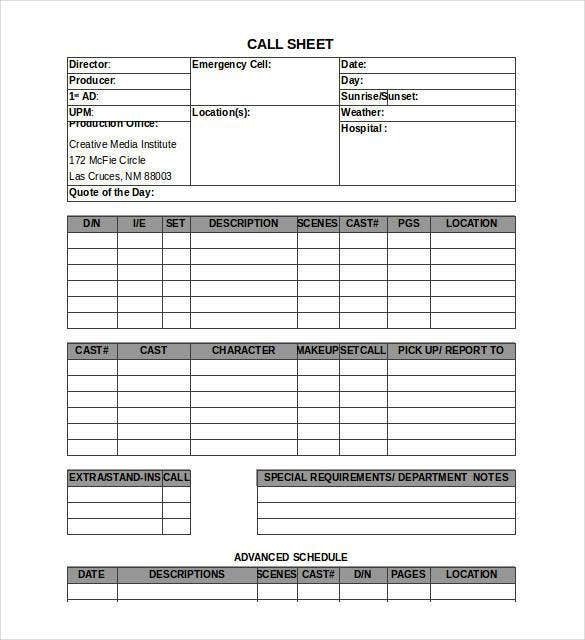 The time indicated on the Marketing Call Log Sheet Templates is usually the approximate time of when the entire team is expected to start the filming project.The call sheet magazine template includes more information, further beyond the meeting location and the meeting time. Further details include scenes and script pages to shoot, shoot location address, as well as the program of the day. If you have any DMCA issues on this post, please contact us!